Khaidi No. 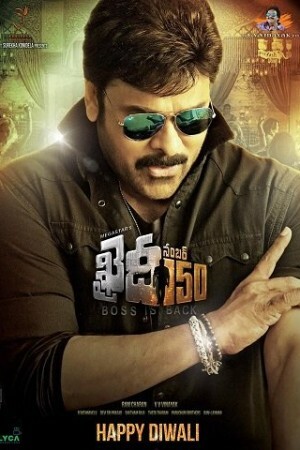 150 is a Telugu movie marking the return of south superstar Chiranjeevi in a mainstream Telugu film. The film follows the life of a small time crook that joins hands with the police, who are on a lookout for a very dangerous escaped prisoner. Kaththi, is the thief and while helping the police, he designs an escapade of his own. He somehow manages to be successful in deceiving the police and unfortunately, runs straight into a crime scene which changes the course of his future life. He meets his doppelganger and the film then moves through several thrilling action scenes to reach the conclusion.